The Comité d’orientation stratégique et scientifique de la filière (COSSF) is the scientific advisory board of MabDesign. It has 8 permanent experts. Head of Innovative Immunology department at LFB Biotechnologies. MD, Chairman of the Translational Medicine committee at MEDICEN, and consultant at DECISIONS R&D Consulting. Professor of Immunology at the Faculty of Medicine-Tours & Head of the Lab. of Immunology in the Univ. Hospital of Tours. Dr. A. Beck is Senior Director of Analytical Chemistry, New Biological Entities, at the Center of Immunology Pierre Fabre (FR), associated editor of mAbs (USA) and mAbDesign AB chairman (FR). He has contributed to the R&D of immune-oncology mAbs, clinical stages mAbs and ADCs in oncology (dalotuzumab licensed to Merck; telisotuzumab vedotin, licensed to AbbVie and h515H7), peptides and vaccines (RSV, ELA/P40). He has published more than 190 papers and reports on mAbs, biosimilars, biobetters, ADCs, bsAbs, Fc-fusion, protein scaffolds structure/function relationships and developability. He was involved in more than 230 scientific meetings (AIS, ASMS, BAS, CASSS, EAC, HPLC, IBC, IMSC, PEGS, SEP, WADC, WBC) as chairperson, invited keynote speaker, panelist, moderator, advisor, and organizer as well as to meetings and workshops with regulatory agencies (ANSM, EMA, EDQM, FDA, PEI, WHO). Paul has graduated in biochemical engineering from National Institute of Applied Sciences (Toulouse France) in 1986. He started his carrier in 1988 as Research Scientist in molecular biology at Rhône-Poulenc Santé in charge of development of processes for production of recombinant proteins. In the 90’s he was in charge of process development for new antibiotics and contributed to the industrialisation of recombinant process for Vitamin B12. Then he was appointed Project Manager for the development of new semi-synthetic anti-infective. Then Paul was appointed Manager of the Biotechnology department at Rhône-Poulenc Rorer for late stage development compounds and support to commercial products. From 2000 to 2012 Paul was leading the Process Development Biotechnology Department of Aventis in France, Germany and Italy. In this Position Paul was in charge of support to industrial production and development of recombinant proteins (Insulin), Monoclonal Antibodies, antibiotics, Vitamin and Steroids. Since 2013, Paul was responsible for Global Technology Innovation within Sanofi-Pasteur, the Vaccine division of Sanofi. He is today in charge of Pilots and Excellence centres for Sanofi Pasteur Industrial Operations. Christophe obtained his PhD degree (1988) in biochemistry then was a postdoctoral fellow in the Jerome Holland Laboratory Research Center, American Red Cross, Rockville USA. From 1990 to 1997 at EFS Lille (French Blood center), Christophe was in charge of various topics related to platelet adhesion and primary hemostasis. In 1998, he moved to the Immunology Research department at LFB Biotechnologies and identified and characterized the anti-Rhesus D monoclonal antibody (hemolytic disease of the newborn) currently in clinical trial. This work evidences that absence of core fucose in the Fc region N-linked glycans of antibodies increases their antibody-dependent cell-mediated cytotoxicity (ADCC) and phagocytosis activity. From 2001 to 2012 as the head of Immunology department Christophe was in charge of various monoclonal antibody pharmacology studies and more specifically worked on the optimized anti-CD20 TG-1101 (ublituximab) developed by TG Therapeutics USA and monoclonal antibodies GM102 which targets Anti-Müllerian Human Receptor II (licenced at Gamamabs). From 2013 to now, Christophe is the group coordinator for the LFB Innovative department in Lille and as head of the Immunology department works with his group on different programs in the field of oncology, auto-immune and infectious diseases. 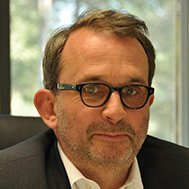 Jean-Louis Pinquier is a medical doctor, currently Chairman of the Translational Medicine committee at MEDICEN, and consultant at DECISIONS R&D Consulting. Over these past 30 years he has been involved in more than hundred drug development programs from discovery to registration and beyond. He was particularly active in early clinical development, covering multiple therapeutics areas. Since the early 2000s, he was involved in several biologics program including naked and drug conjugate monoclonal antibodies. Up to 2014 he was deputy global head of the Clinical and Exploratory Pharmacology Dept. at Sanofi R&D, and member of Sanofi R&D France Board. After having spent 7 years in Cochin University Hospital as assistant professor and medical director of the Therapeutics Research Institute, he moved to pharmaceutical industry in 1993, first at Synthelabo Research, Sanofi-Synthelabo, and then Aventis and Sanofi-Aventis. Dr Pinquier is board certified in Clinical Pharmacology, Internal Medicine and Rheumatology and still has clinical practice. He is member of ASCPT, ACCP, SFTP, Club Phase I (actual president) and EUFEMED. 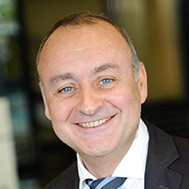 Jean-François is a Senior Executive of the French and International pharmaceutical industry. 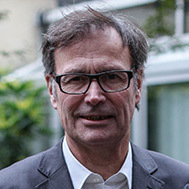 Physician specialist in Internal Medicine, Dr. Prost has an experience of 30 years in the industry, having served as Cardiovascular Development Director then Research Director at Servier, R&D Director at Pierre Fabre Medicament and then UCB Pharma, and finally in the last ten years, Scientific and Medical Management at LFB. He’s today VP R&D and Strategy at GamaMabs Pharma company. Jérôme TIOLLIER PhD, 57 years old joined INNATE PHARMA on September 2001. He currently holds the position of EVP Chief Development Officer overseeing product development programs in pharmaceutical, non-clinical operations and program management of the different mAbs of the company. During previous years, since 2001, he has built the development team organization and managed multiple areas of drug development, including CMC toxicology, PK, drug non clinical demonstration, translational scientific research and clinical & regulatory operations up to early (Phase I & II) clinical phases of the different “first in class” mAbs of Innate portfolio. He contributed to build the US operations as President of Innate Pharma Inc. and other corporate development activities. He has graduated from C. Bernard University-Lyon and holds a PhD in cell biology and immunology. 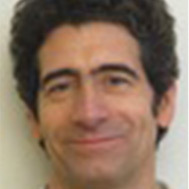 Previously, he has been with IMEDEX SA (1986-1997) a French biotech spin off from Institut Mérieux at several positions where he managed the development of different biological products from preclinical to early clinical stage (phase I/II) with the collaboration of internal R&D groups and CRO. Then he moved to Pasteur-Mérieux Transplant business unit (then acquired by SANGSTAT in 1998, now part of Sanofi Genzyme,) as Preclinical Director (1997-1999) and European R&D Director (1999-2001). In these latter positions, he managed different pharmaceutical product license building (Thymoglobuline, anti-LFA1 mAb, all IPH first in class mAbs) as well as global research projects. Bernard Vanhove has extensive international scientific experience, in particular at the Research Institute of Sandoz in Vienna (Austria). He serves as Research Director at the « Centre National de Recherche Scientifique » (CNRS, French National Scientific Research Institute), the « Institut National de la Santé et Recherche Médicale » (INSERM, National Institute for Health and Medical Research) and the « Institut de Transplantation-Immunologie-Urologie » (ITUN, Institute of Transplantation in Immuno-urology). He has also conducted research activities at the « Centre Européen des Sciences de la Transplantation et Immunothérapie » (CESTI, European Center for Transplantation and Immunotherapy Sciences). In 2013, Bernard Vanhove was awarded a Prize from « France Transplant » for his pharmacological preclinical studies evaluating the efficacy of FR104 (a pegylated monovalent anti-CD28 Fab antibody) in immunology. Moreover, he was the coordinator of the European FP7 network « TRIAD » (Tolerance Restoration in Autoimmune Diseases) in autoimmune diseases. He is the author of more than 80 international publications in the area of immune restoration. 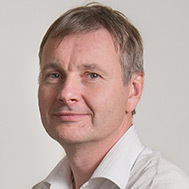 In 2008, Bernard Vanhove co-founded Effimune, becoming Chief Executive Officer in July 2014. Upon the merger of Effimune with OSE Pharma in May 2016, he was appointed Chief Operating Officer of OSE Immunotherapeutics, in charge of R&D and International Scientific Collaborations. 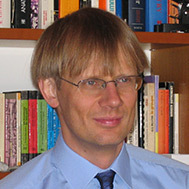 Bernard Vanhove holds a Ph.D. in Immunology (from the Louvain University, Belgium). Head of the Laboratory of Immunology in the University Hospital of Tours. 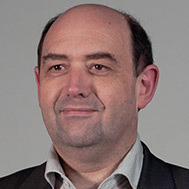 Hervé Watier is Professor of Immunology at the Faculty of Medicine, Tours, and Head of the Laboratory of Immunology in the University Hospital of Tours. Physician (MD) and scientist (PhD), he is working on the mechanisms of action of therapeutic antibodies in humans, which he contributed to discover through pharmacogenetic approaches. 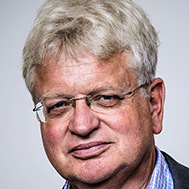 Since 2009, he is Director of the CNRS Research Network “Antibodies and therapeutic targeting”. He is also coordinating the laboratory of excellence (LabEx) “MAbImprove” since 2011 and a regional program dedicated to “Biopharmaceuticals” since 2013. The COSSF’s mission is to contribute to the strategic scientific plans of action of MabDesign in the sector in order to foster innovation and economic development of companies as well as draft prospective reports on specific areas of the sector twice per year.